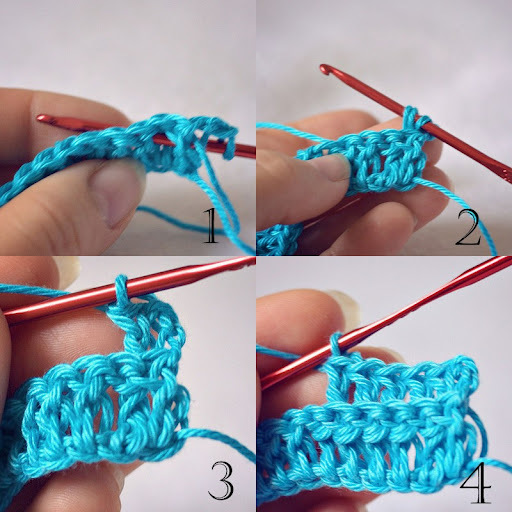 So, finally here is another “crochet tip” post and it is about front and back post double crochet stitches. I am sure that many of you are familiar with them and this is nothing new. But I also know that there are many less experienced crocheters around who are quite scared when they see these stitches. Let me tell you – they are very simple to make and once you learned them you become quite addicted as you can play with them in so many way and create wonderful patterns. Yarn over, insert hook from front to back around next dc (photo 1)(normally you insert the hook in loops on the top of the stitch, but to work front post dc you must work it AROUND the stitch of previous row), yarn over, pull it through, there will be 3 loops on your hook now (photo 2), yarn over and pull it through 2 loops (photo 3), yarn over and pull it through last two loops, the front post double crochet is complete (photo 4). Back post double crochet ( BP dc ) is made in the same way as FP dc only now you have to insert the hook from back to front. Yarn over, insert hook from back to front around next dc (photo 1), yarn over, pull through, there will be 3 loops on your hook (photo 2), yarn over and pull it through 2 loops, yarn over and pull it through last two loops, the back post double crochet is complete (photo 3). Wasn’t it easy? 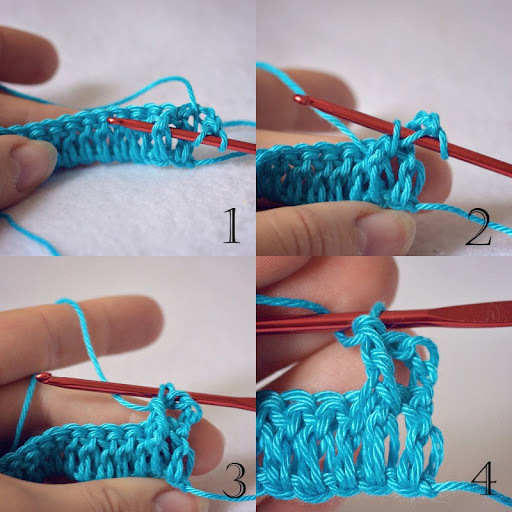 If not, you just need to practice a little bit and you will see how much you will love these stitches at the end. 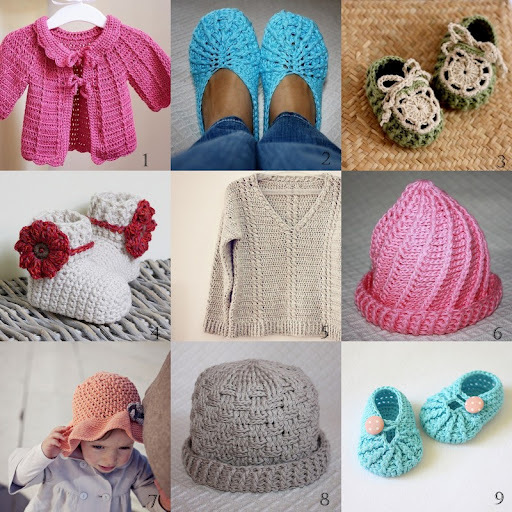 Just for inspiration here are some of my patterns where I used these stitches! Tnx,I was wandering :-),and now I know! I love the crocheted turquoise blue and polka dots booties and I pinned the pattern on my baby crochet board so more people would find your pattern. If you would rather I didn't, just contact me via the addy posted on the footer of my website and I'll take it right down.